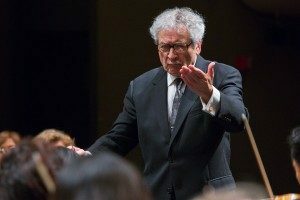 On Saturday, November 3, the Nashville Symphony gave a performance entitled Russian Masters, featuring guest conductor Victor Yampolsky, the perfect conductor for the program. The concert consisted of three pieces by three very different Russian composers, opening with Dawn on Moscow River from the opera Kovanshchina by Modest Mussorgsky, arranged by none other than Nikolai Rimsky-Korsakov, followed Tchaikovsky’s famous Concerto No. 1 in B-flat minor for Piano and Orchestra, featuring internationally-renowned soloist Behzod Abduraimov. The evening was then ended with Dmitri Shostakovich’s lengthy and tumultuous Symphony No. 8 in C Minor. Modest Mussorgsky began the composition of his opera Kovanshchina in 1872, but left the work largely unfinished at the time of his death in 1880. What Mussorgsky left was heavily edited by Rimsky-Korsakov, making the work sound much more like–well, a composition by Rimsky-Korsakov–rather than what Mussorgsky intended. Despite the rather dark, political topic of the opera, this prelude is meant to convey just what the title suggests: the hopeful dawn of a new day on the Moscow River. The light, woodwind and string-dominant orchestration characteristic of Rimsky-Korsakov was made apparent from the minute Maestro Yampolsky gave the first cue, and the players executed it effortlessly. Beautiful woodwind solos wound their way in and out of string melodies and pianissimo chords so delicate that one would almost have to lean forward in one’s seat to hear it all. A darker, Russian-esque march took over in the middle of the piece, showcasing the lower-end of the orchestra’s range for the first time in the evening. Almost as suddenly as it came, the darkness dissipated back into the same delicate character as the beginning, perfectly setting the stage for the rest of the evening. 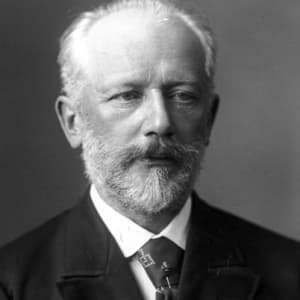 Tchaikovsky composed his first piano concerto between the years of 1874 and 1875, a time in which he desperately needed a highly successful premiere. This concerto delivered; it was premiered by pianist Hans von Bülow in Boston, and was thankfully very well-received. As the concerto became extremely popular after its premiere in the United States, Tchaikovsky himself conducted the piece at the inaugural concert of Carnegie Hall in 1891. 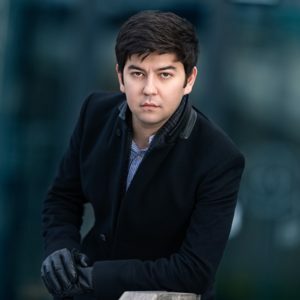 This technically demanding concerto was performed with elegance and ease by soloist Behzod Abduraimov. Although he is relatively young, he played with the maturity and virtuosity of a musician who is much older, and by default has had much more experience. The technical prowess and raw emotion exhibited in his playing mesmerized the audience from the moment his fingers first struck the keys, and did this concerto justice, to say the very least. The tone of the piece was perfectly set by the opening in the brass section, followed directly by the majestic, ringing piano chords layered over the ever-beloved melody presented by the strings. The cadenza that followed was performed with such sensitivity and energy that it was impossible to look anywhere else in the concert hall but directly at Abduraimov. The switches in character and texture were beautifully executed by all members of the orchestra and the soloist, creating a wonderful, conversational feeling throughout the first movement (and the entirety) of the concerto. Abduraimov flew through every technical passage with absolute ease and musicality, making it all the more impressive with each passing phrase. 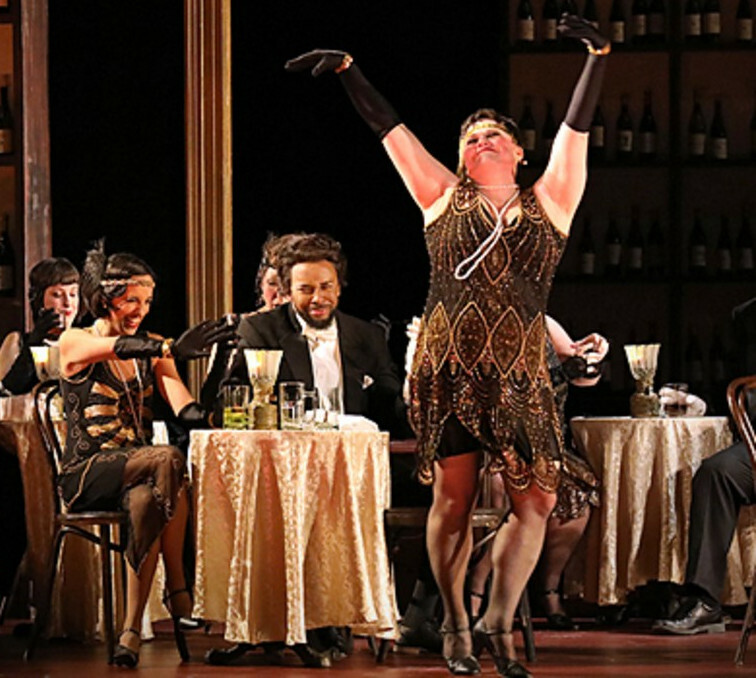 He even received a standing ovation by a handful of members of the audience after just the first movement, which was probably equal parts his impressive performance and the sheer length of the first movement alone. The second movement brought more awe-inspiring displays of emotion and skill by the soloist, as well as beautiful solos from members of the wind section. The Prestissimo portion of the movement was both technically impressive and musically interesting, transitioning effortlessly back into the beautiful melody presented at the start of the movement.The same impressive technique and energy was carried throughout the entire final movement, holding the audience’s attention until the final chord. The grand ending of the movement was so full of energy that it propelled everyone in the hall out of their seats into a lengthy and heartfelt standing ovation. Shostakovich began composing his Symphony No. 8 in 1943 after a huge boost in his status following the premiere of his Symphony No. 7, “Leningrad.” Shostakovich described his Eighth as a “positive life-affirming work” that carried a theme of “looking forward into the postwar era,” but it feels as though it is more of a Requiem, possibly lamenting the suffering of the World War II years and the victims of Stalin’s infamous purges. It was truly something to experience a work of such epic proportions, both in orchestra size and length of the piece. This is the first of Shostakovich’s symphonies to boast a length of five movements, which is very interesting. Both an extended wind section and an extended percussion section are always exciting to see, and provided additional volume and color that added so much energy to the peaks of the symphony. The lengthy first movement of the symphony was executed appropriately, maintaining the somber and moody atmosphere throughout. The Reqiuem-feel is very apparent in this movement, dominated by forlorn-sounding strings. Excellent and shocking shifts in texture sprinkled interest throughout, ranging from bombastic full-orchestra climaxes to sparse, delicate, and highly exposed soloistic passages. The second movement was a strange and unnerving, yet refreshing and upbeat character shift from the first movement. This movement was definitely more technically challenging than the first, with an absolutely virtuosic and effortless piccolo solo by Gloria Yun extending throughout a fair portion of the movement. The orchestra charged on with an almost manic energy until the very end, leaving the audience a bit anxious and unable to predict what was to come. The low string section, namely the violas, gave an energetic and driving start to the third movement, once again giving an unexpected shift from the previous movement. Towards the end of the movement an excellently executed trumpet and snare drum duet added to the war-like feel of the symphony, segueing into huge full-orchestra chords topped with appropriately-screeching woodwinds and ear-splitting percussion. The fourth movement begins just as rowdy as the end of the third, but soon fades into the same quiet, somber mood as the first. The somber mood was once again held steadily throughout by the orchestra, staying true to the Requiem feel that Shostakovich intended. The fifth and final movement of the symphony was started with a beautiful theme in the bassoon, which was played so elegantly. Soon after begins a very slow, anxiety-riddled build to the symphony’s climax, which is oddly far from the end of the work. Although Shostakovich claims that this symphony represents triumph and victory, it goes out with a fizzle rather than a bang. Soft, subdued chords were sustained beautifully by the orchestra, holding the audience’s attention until the final chord stopped ringing. Although a lengthy program ended with an unusual symphony, the title Russian Masters truly described the evening: three masterful composers, a masterful soloist, a masterful conductor, and a masterful performance through and through.